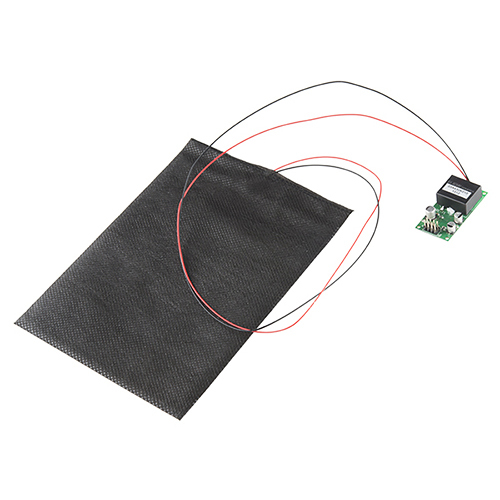 We have a couple of new Raspberry Pi shields and a bigger flexible speaker. Check it out. Has it been another week already?! It's Friday, so we have a few new products to talk about, as well as the last and final (for now) Robotics 101 video. Check 'em both out! This week we also have the final video for the Robotics 101 video series. We decided to revisit the tools section, and expanded it into a second, supplementary video. We realize we raced through the concept of robotics and missed a lot. We just wanted to give an overview to get people to start asking questions, and at least give you an idea of WHAT to ask. If there's something you want to know more about, feel free to comment and we'll either cover it in future videos or tutorials. A few weeks back we released a flexible speaker and amplifier combo. This week, we have one that uses a larger transducer and has a larger frequency range. The speakers are both pretty cool, considering you can flex, bend, and use them in your next wearable project. There are a lot of protocols out there. RS485 is one such protocol that's used in a lot of products, from lighting to industrial control. If you want to talk to these devices, this shield will allow you to do so with your Raspberry Pi. It plugs into the GPIO header on the PI, breaks out some pins, gives you a screw terminal for connections, and even has a footprint if you want to add a DB9 connector. RS232 is another common protocol you'll come across if you're trying to interface with existing hardware. I have a background in the A/V industry and RS232 is the protocol for pretty much every control system used with A/V components. 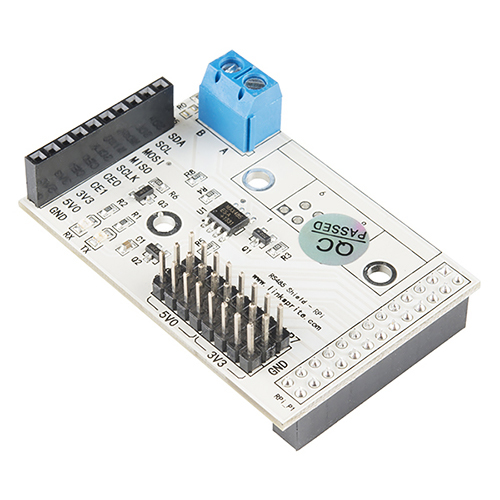 Using this shield, you can easily interface your Pi with those components, or anything that uses RS232. That's it for this week. Check back next week, we have a new single-board-computer with a few really cool features. Thanks for watching and reading. See you next week! Was Casey supposed to throw the sunglasses and eye protection across the room? I didn't exactly have an exit strategy. I had to improvise. How could an introductory video mention welders and not mention stick welders? Are people going to start off tig welding? Doubtful. Can we call it a shield if its not arduino? Is it a new name for daughter boards? I think the term 'shield' is being used for Pi stuff. Beaglebone has adopted 'cape' instead. I think the term is turning into 'kleenex'. RS-485 and RS-232 does not specify or recommend any communications protocol, only the physical layer. The protocol is how the 0's and 1's are arranged. The physical layer is the electrical layer. A minor detail, but just because something talks RS-485 does not mean that this shield has the magic to know how to communicate with it. Any chance of an RS-422 shield? You can use the 485 for 422 as they are electrically the same, for practical purposes. Actually it is the other way around. You can use a RS422 interface to connect to a RS485 interface. RS422 is pretty much a diff pair version of RS232 and typically is full duplex. The RS485 board you offer is only half duplex. Actually, not. Although they use the same voltages and impedance, true RS-485 devices are 2 wire, half duplex. There's no way to connect an RS-422 device, which would have a pair each for TXD and RXD, to the 485 device. You'd have to connect the TXD and RXD pairs together, but you can't tri-state a 422 driver. The only thing RS-232 and 422 have in common is the functional descriptions of the pins, such as TXD, RTS etc. Electrically they're completely different, and only share one physical connector - the 9 pin D sub miniature. RS-422 is most commonly used with a 37 pin connector following the RS-449 pinout. RS-232 specs call for 25 pin D sub. RS-232 on the 9 pin and 8 pin modular connectors is technically different spec numbers. 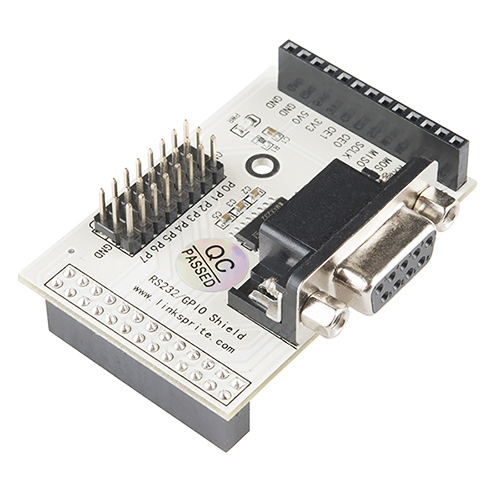 The 9 pin connector on the RS232 shield should be a male since the Pi should be configured as a DTE (data output on pin 3, input on pin 2). Edit: Nevermind, I checked the schematic on Linksprite's website, the 9 pin is configured as a DCE (data output on pin 2, input on pin 3), so the female connector is appropriate. But unusual IMO. Way to tease us about the new SBC.